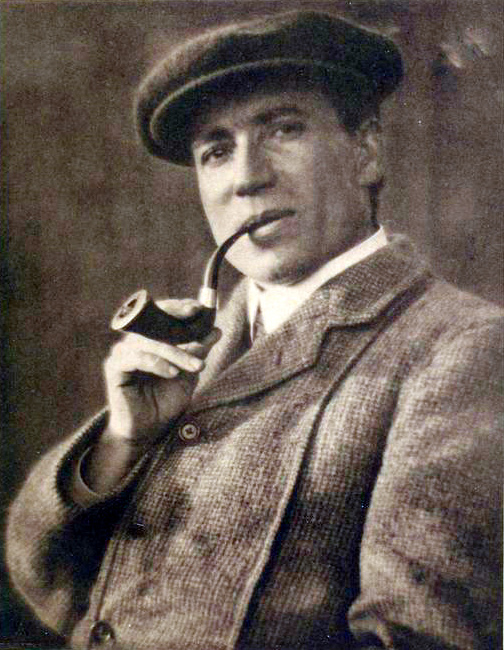 William Henry Davies (1871-1940) was a Welsh poet who started out as a rounder but ended up a respected poet. Raised by grandparents after his father died and his mother remarried, William was inclined toward a life of adventure; he traveled by boat to North America repeatedly before losing a leg in attempting to jump a train. He eventually returned to England, wrote a book about his wandering years, paid and starved his way into becoming a published poet and, eventually, gained equal standing with such contemporaries as Yeats and Ezra Pound. As a girl living in Yorkshire, England, our Mum sent my sister and myself to take Elocution lessons. Mum didn't want us to grow up with broad Yorkshire accents! This poem, "Leisure", was the first poem we learned on how to say the words correctly in the King's English. "a's are pronounced long as in "father", not as in "cat". Thanks! We must have time to stand and stare. I love that line too! I never read that poem before, but it's a delight! Enrich that smile her eyes began - what a beautiful line. This has been a favourite of mine for years.